Been seeing a lot of moustaches lately? Well, so has Mortech. 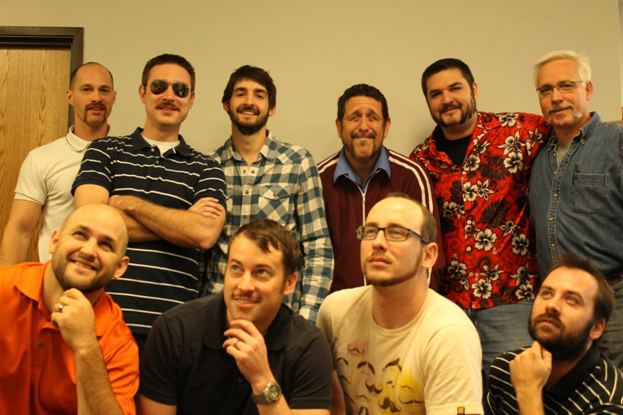 That’s right; Mortech hopped on the good ol’ healthy bandwagon and participated in Movember this year. On November 1, freshly-shaven participants begin growing a moustache and continue growing and nurturing it throughout the course of November. They essentially become a walking, talking advertisement for men's health issues. Moreover, participants get people to donate money out of the kindness of their heart ...or by promising them they can choose what kind of moustache you grow - either way! The proceeds go to charities such as the Prostate Cancer Foundation and LIVESTRONG, The Lance Armstrong Foundation. In addition, Movember raises overall awareness for prostate cancer and other health issues affecting men. Employees raised $688 with Mortech matching that number dollar-for-dollar - all together raising $1,376. Congratulations to our three top-raising participants and our best moustache and facial hair winners. Did you or anyone you know participate in Movember?